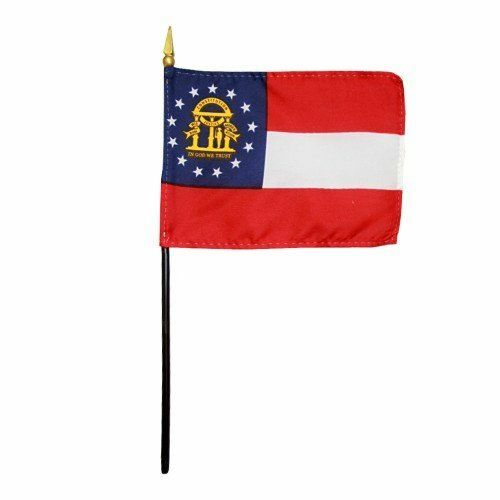 AmericanFlags.com is proud to carry Georgia State Flags in a variety of materials, and styles, in sizes ranging from 4 IN X 6 IN to 12 FT X 18 FT. All of our Georgia flags meet official specifications, are on sale right now and are ready for immediate shipping to your door. 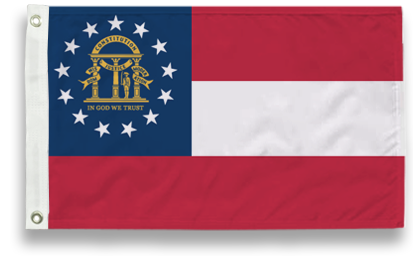 Designed in May 2003, the newest flag of the state of Georgia shows three horizontal stripes of red, white and red, with a blue square in the upper left corner (canton position) that features 13 white stars encircling the Georgia state seal. The three pillars shown on the seal represent the Legislative, Executive and Judicial branches of the government, under which is written, “In God We Trust.” The pillars are pictured under an arch symbolic of the Constitution. The date of the Declaration of Independence , 1776, appears and the words Constitution, Justice, Wisdom, and Moderation are written in banners on the Seal. 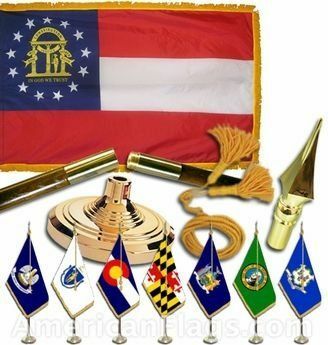 The governor of Georgia signed an executive order establishing this new flag for the state. 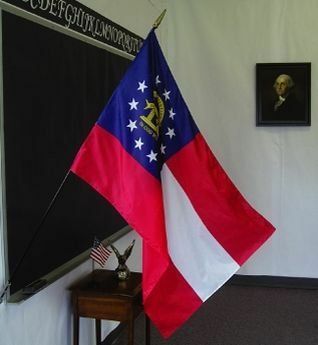 In March 2004, the people of Georgia voted to keep it in place of the flag that was adopted in 2001. 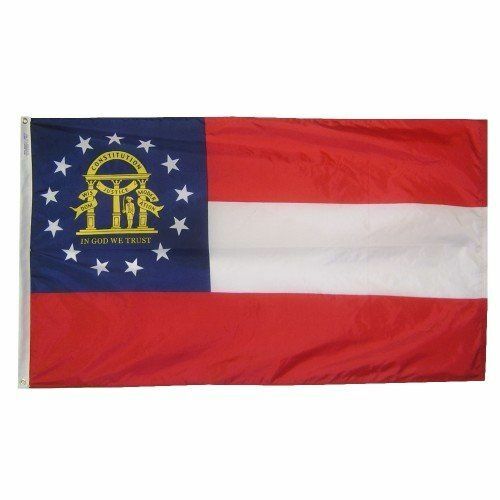 That flag featured a miniature version of the controversial 1956-2001 Georgia State flag which was based on the Confederate flag and for many was a painful reminder of slavery.